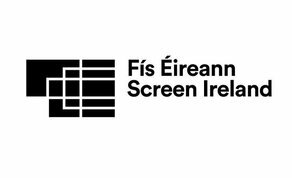 Fís Éireann/Screen Ireland has published its updated 2019 funding guidelines for its Production, Distribution, and Development schemes. A number of maximum funding limits across Irish production, Creative Co-Production and Animation Production funding have been increased. Following its commitment to fund TV Drama Production, which was announced earlier this year, Screen Ireland has also published the details of its new TV Drama Production fund. By providing support for TV Drama Production, Screen Ireland aims to drive the expansion of the indigenous TV drama production sector and provide opportunities for Irish talent to develop both creatively and professionally. The new Screen Ireland TV Drama Production fund is aimed at supporting TV drama series originated and creatively led by Irish talents – directors, writers, producers – to create TV content with both an Irish and international audience and marketplace in mind. TV Drama Development funding has been in place since 2015. A number of changes have been made across all funding guidelines, which are published on the Screen Ireland website. It is essential applicants consult the updated funding guidelines for 2019 in advance of making a submission. The first 2019 deadline for TV Drama Production and TV Drama Development Applications is 1pm on 28th of February. The next deadline for Development funding applications is 1pm February 28th. The next deadline for Distribution and Production applications is 1pm on February 15th. Click here to view the updated 2019 funding guidelines.